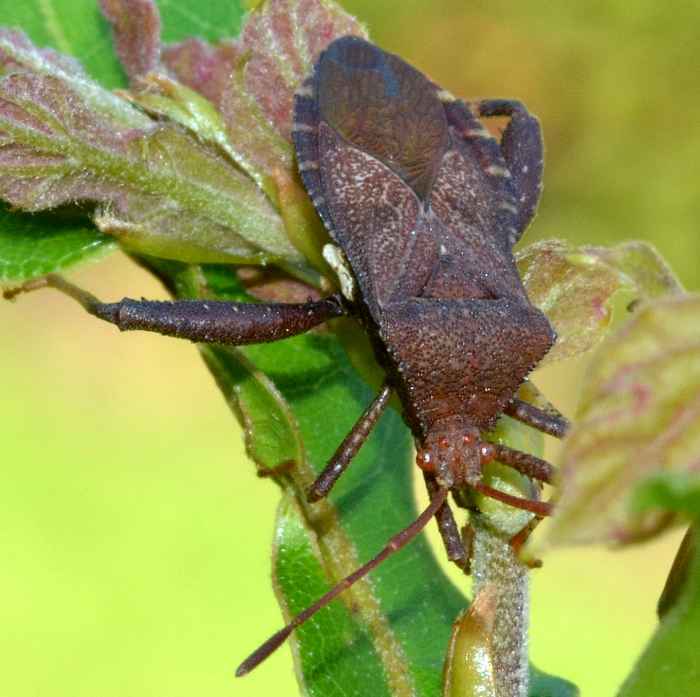 Euthochtha galeator (Helmeted Squash Bug) ♂. Size: approx. 15 mm. Photo: 06/28/12, noon. 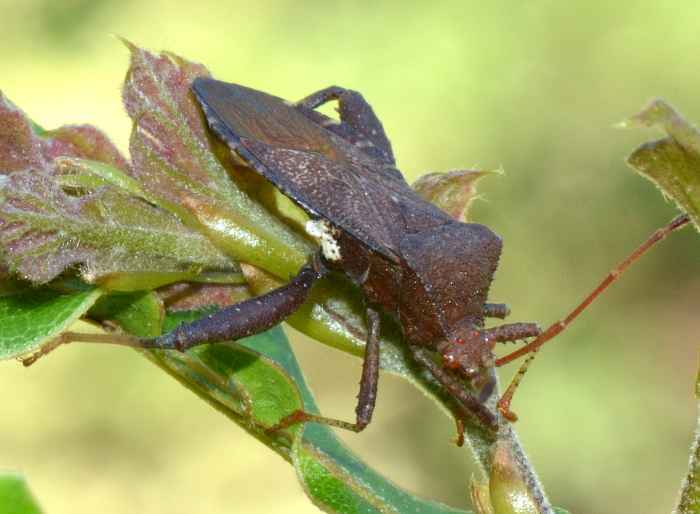 This Helmeted Squash Bug (Euthochtha galeator) is widespread from the Texas/Dakota line eastwards. It feeds on various plants and can become a pest damaging roses, citrus, as well as other fruits and ornamentals. This specimen is a male with a characteristic white spur or flap on the side of its thorax.